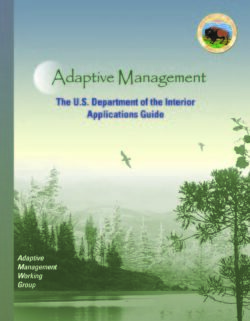 Over the past 25 years, the State of California has demonstrated national and international leadership in understanding regional climate change impacts, developing strategies for reducing greenhouse gas (GHG) emissions, and developing knowledge to support adaptation to projected impacts. Successfully negotiating climate change challenges will require integrating a sound scientific basis for climate preparedness into local planning, resource management, infrastructure, and public health, as well as introducing new strategies to reduce GHG emissions or increase carbon sequestration into nearly every sector of California’s economy. 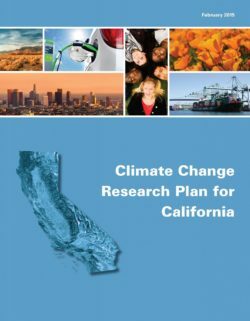 This Climate Change Research Plan (hereafter the Research Plan) presents a strategy for developing the requisite knowledge through a targeted body of policy-relevant, California-specific research. The Research Plan continues support for climate policy and enhances statewide research collaboration. For the first time, it outlines statewide research priorities. It further demonstrates state agency coordination. Nearly 50 authors representing 16 state agencies were involved in authoring the Research Plan, which delineates California’s most critical climate-related research gaps. This is an unprecedented effort resulting in the first comprehensive climate change research plan developed by any state. 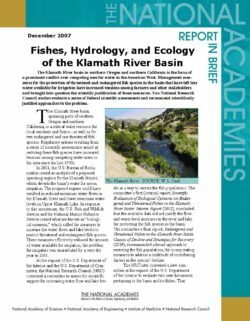 California-sponsored research informs climate policy issues of unique importance to California. For example, State-sponsored research resulting from the First California Climate Assessment offered new California-specific scientific insights that were not available in 2006 from federal research products and that were instrumental to the passage of AB 32. The recent enhanced support for actionable climate research at the federal level also represents an excellent opportunity to develop a plan that aligns with the national research plan developed by the U.S. Global Change Research Program and contributes to the continuing dialogue with our federal partners. The research needs identified in California’s Research Plan address gaps in knowledge that will help inform the State’s ongoing activities to address climate change without duplicating federal research activities. There is already conflict in California over water allocation, and climate change will exacerbate that conflict by increasing demand and decreasing supply. Adaptation will be needed both to address already unavoidable impacts from historical emissions, and to address impacts from future emissions. 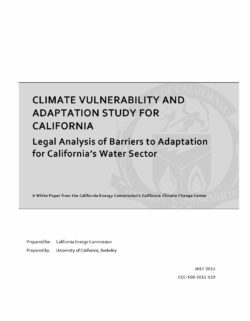 To identify changes that would facilitate adaptation this study looked at recent legislation, policy proposals, and white papers addressing water reform; and off?the record interviews were conducted with individuals familiar with California water law. Having an accurate record of who is diverting water in California, and in what quantity, is the single most important step towards preparing for climate change, and the recommendations reflect that. For groundwater, the changes identified would (1) expand groundwater monitoring and reporting requirements, (2) expand groundwater planning requirements, and (3) require the State Board to improve groundwater management and to prevent the waste or unreasonable use of groundwater. For surface water, the changes we identify would (1) require the State Board to provide information about efficient agricultural water management practices, and streamline State Board procedures for enforcement actions for the waste and unreasonable use of water, (2) increase the enforcement of and penalties for failing to file a Statement of Water Diversion and Use and for illegal diversions, (3) require all beneficiaries of the water rights system to bear the cost of activities related to the administration of those rights, and (4) expand reporting requirements to require diverters to state what they believe their water rights to be. The Delta of the Sacramento and San Joaquin rivers is the hub of California’s extensive water supply system and critical to the State’s economy. However, emerging scarcities of water in the Delta watersheds, which are expected to intensify with global warming, threaten California’s ability to sustain further economic development and population growth. At the same time, patterns of water and land use have resulted in severe declines in the abundances of many valuable native species. Protecting and restoring these species while maintaining a reliable water supply and building California’s economic future is an absolute priority. The economic and environmental stakes in the Delta are enormous. Over 27 million people rely on Delta water and the ecosystem has been degraded to the point where over 60 native species are listed as threatened or endangered. The Delta and its water supply infrastructure are also highly vulnerable to earthquakes, floods, and droughts. Proposed actions under the Bay Delta Conservation Plan to reduce risks to the people, ecosystems and economy of California are likely to cost many billions of dollars. Achieving the co-goals of the Delta Plan will depend upon acquiring and communicating a new shared body of scientific knowledge to catalyze cultural change. The Delta Science Plan is intended to be that catalyst. 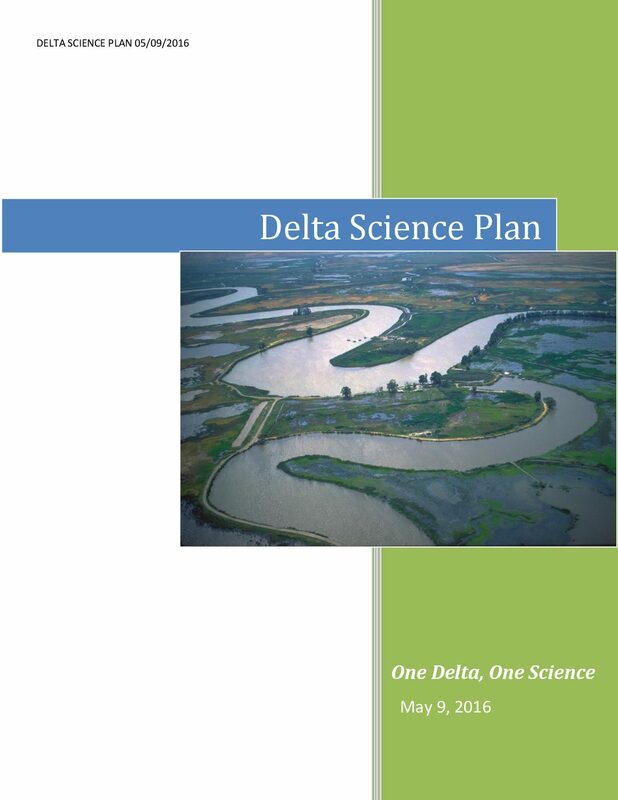 The Delta Science Plan provides direction for achieving an integrated, collaborative and transparent science of the Delta to enhance policy and management decisions. The Plan is transformative and uses principles that have proven successful in other Big Science programs – embracing emerging technologies and fostering open science communities. The science plan uses collaboration to build trust and acquire a shared body of scientific knowledge. It proposes new mechanisms for synthesis and communication that will enhance decision-making and reduce conflicts that hinder policy decisions. 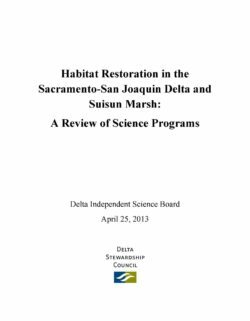 Vigorous and sustained investment in the Delta Science Plan will ensure that the responsible agencies have the knowledge, trust and collaboration necessary to achieve the coequal goals. In the United States, desalination and membrane technologies are used to augment municipal water supply, produce high-quality industrial water supplies, and reclaim contaminated supplies (including from oil and gas development). Approximately 2,000 desalination facilities larger than 0.3 million gallons per day (MGD) operate in the United States; this represents more than 2% of U.S. municipal and industrial freshwater use. 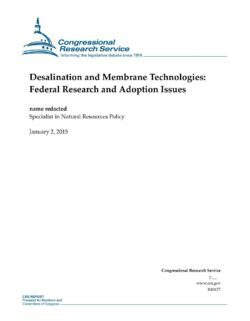 At issue for Congress is what should be the federal role in supporting desalination and membrane technology research and facilities. Desalination issues before the 114th Congress may include how to focus federal research, at what level to support desalination research and projects, and how to provide a regulatory context that protects the environment and public health without disadvantaging desalination’s adoption. Construction of desalination facilities, like many other types of projects, often requires a significant number of local, state, and federal approvals and permits. Emerging technologies (e.g., forward osmosis, capacitive deionization, and chlorine resistant membranes) show promise for reducing desalination costs. Research to support emerging technologies and to reduce desalination’s environmental and human health impacts is particularly relevant to future adoptions of desalination and membrane technologies. The federal government generally has been involved primarily in desalination research and development (including for military applications), some demonstration projects, and select full-scale facilities. For the most part, local governments, sometimes with state-level involvement, are responsible for planning, testing, building, and operating desalination facilities. Some states, universities, and private entities also undertake and support desalination research. While interest in desalination persists among some Members, especially in response to drought concerns, efforts to maintain or expand federal activities and investment are challenged by the domestic fiscal climate and differing views on federal roles and priorities. A series of groundwater technical procedures documents (GWPDs) has been released by the U.S. Geological Survey, Water-Resources Discipline, for general use by the public. 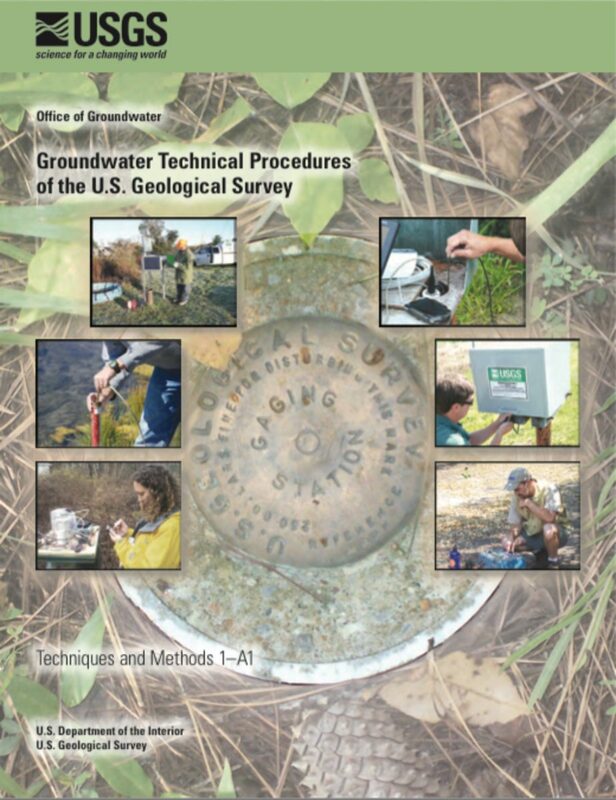 These technical procedures were written in response to the need for standardized technical procedures of many aspects of groundwater science, including site and measuring-point establishment, measurement of water levels, and measurement of well discharge. 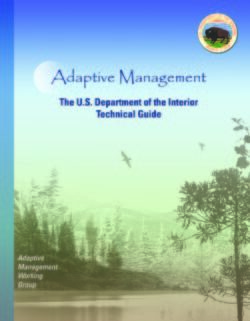 The techniques are described in the GWPDs in concise language and are accompanied by necessary figures and tables derived from cited manuals, reports, and other documents. Because a goal of this series of procedures is to remain current with the state of the science, and because procedures change over time, this report is released in an online format only. 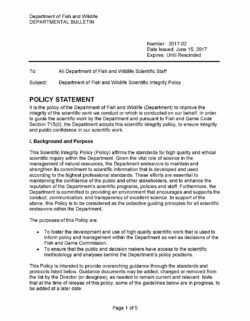 As new procedures are developed and released, they will be linked to this document.